Are you concerned about your AC unit giving up during the Austin heat? Preventive maintenance is the number one way to stay on top of costly repairs in the future. Save yourself and your family the trouble of coming home after work & school to a 100 degree home. Get ahead of your HVAC and give us a call. We are a full-service Heating & Air Conditioning Installation and Service company. Residential or Commercial no job is too big or small. We install and service all major brands and manufacturers of equipment. We specialize in filtration, air purification, and deodorizing systems. We install zone-control systems and humidity control systems. View more of our services! Cedar Park, Leander, Georgetown, Round Rock (and more). Our mission at Austex is to provide each customer with the highest level of professionalism and service possible. 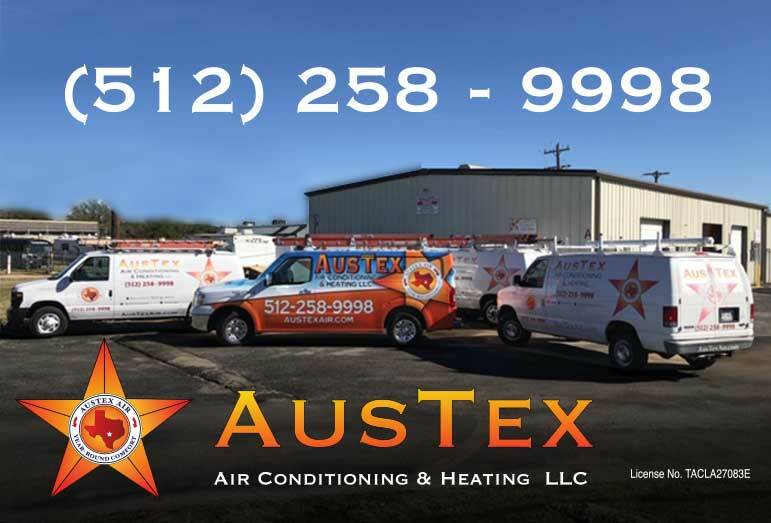 Austex air conditioning Services is a local family owned and operated business in Cedar Park, Leander, and greater Austin area. We have been in the heating and air conditioning industry for four generations. Our goal is to serve our customers by being prompt, courteous, and professional. Our company’s success will always be owed to our satisfied customers. Affordable, healthy and efficient heating and air conditioning systems keep our customers satisfied and recommending us to their friends and families. If your home is like most families, something always seems to break at the worst possible time. That old saying “when it rains- it pours” seems to come true too often. Are you wishing you knew a good air conditioning company, with technicians that you can trust to just tell you the truth? We will do everything possible to minimize the expense of an unexpected repair. We will explain the problem in simple terms with different options for repairs. “You need a new system” should be an option but not the only solution. Austex is a family run company that understands that all people are in different financial positions at different times of their lives. We want you to feel comfortable with us to repair or replace your system when the time is right for you.